Art paper, PVC, Film etc. Same usage as original genuine, Plug and Play. As a professional supplier for inkjet printer, IMATEC provides one-stop-service for your printers, focaing on eco solvent printing as bellow. Matte, High Glossy, Premium RC Glossy/Satin/Silky/Luster/Wove, Proofing paper etc. Cotton Canvas, Polyester Oil Canvas, Poly-coton Canvas, Banner Fabric, etc. 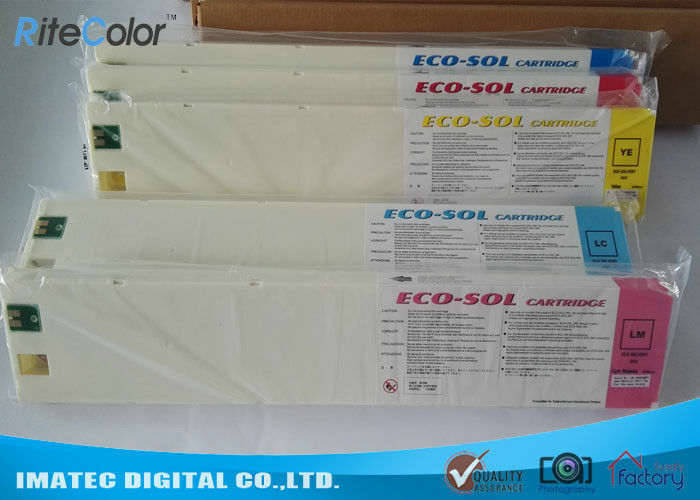 Compatible refill ink and eco solvent ink cartridge 440ML for Roland/Mimaki etc.